Energy Efficient, Low Operating Cost. Safe-Stop pump protection prevents operation when water levels are too low. Safe-Stop pump protection prevents operation when water levels are too low. 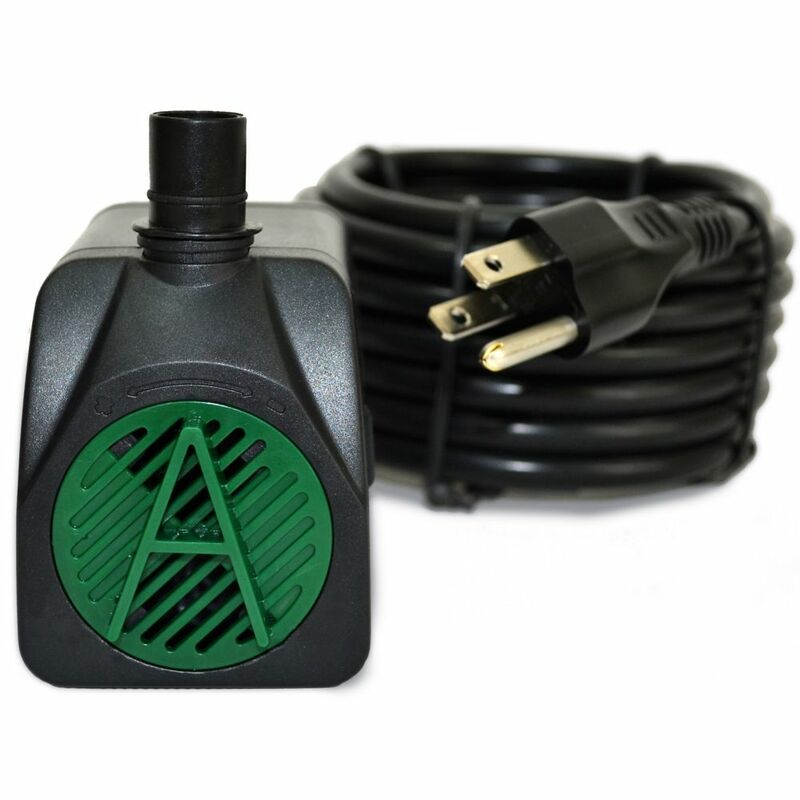 Reliable, powerful and efficient; ideal for use in small to medium sized ponds (Up to 375 Gallons). Kit includes: 250 GPH energy efficient pump, pre-filter, 3/4" output, diverter with dual flow control, 3 extension tubes with coupler, 3 spray nozzles: Bell, Tiered and Trumpet. 225 GPH Pump with Safe-Stop Technology Energy Efficient, Low Operating Cost. Safe-Stop pump protection prevents operation when water levels are too low. 225 GPH Pump with Safe-Stop Technology is rated 4.5 out of 5 by 2. Rated 5 out of 5 by Fastsky from Works great! The pump runs smoothly and the safety switch works as advertised. The flow rate is also easy to adjust. Rated 4 out of 5 by GWToronto from Pump works well, hope it lasts. I bought this to replace my original pump that stopped working after 2 seasons. Hope I can get longer than that from this one. The extra long cord comes in handy as in my location no extension cord is needed.